Arslanova, E. (2014, January). 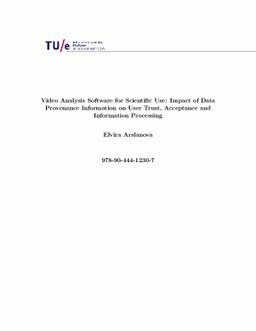 Video Analysis Software for Scientic Use: Impact of Data Provenance Information on User Trust, Acceptance and Information Processing. TU Eindhoven.